Winners of multiple, consecutive races. This lesson will focus on the first bullet point, saving the second type of race for grade 7. Let’s begin with the exacta. With the exacta, you are trying to predict the first two horses. This has to be in the precise order that they finish in order to win the bet. 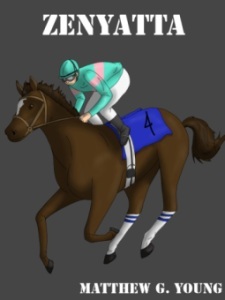 Many people will box their exacta selections, or in other words, select all horses on a ticket for all positions. With two horses involved, this is only two bets. As you can probably guess, it becomes much more expensive to box a ticket when more horses are involved. The quinella, which is only offered at some tracks, performs the same function as an exacta box, but for a cheaper price. As a result, its payouts are generally lower than an exacta would be. Now, instead of six possible combinations, you have four, making a $2 trifecta cost $8, rather than $12. Of course, your odds of winning are slightly less, but if you are certain enough that A is going to win, this should not dissuade you. The superfecta goes even farther than the trifecta. With the superfecta, you are predicting the first four finishers in the correct order. Many tracks will have reduced the betting minimum for these wagers to $0.10 in order to attract more revenue from individuals who do not have a large enough bankroll to afford an expensive superfecta structure. A $1 superfecta box costs $24, while a $0.10 box costs $2.40. Even a $0.10 wager can have a relatively large payout. It is not uncommon for this type of bet to return $75 to $100. Money management when it comes to exotic bets becomes important. It is very easy to think having a larger spread of horses will win you more bets. This is technically true, but you will not win enough to offset the extra price you are paying for including more horses. If you pick a $2 four horse exacta box, you will be spending $48. Odds are that your return will not be as high, especially if two favorites win. True, many of your bets will be profitable over the short-term, but you will go broke if you do this over a long enough time frame. Correctly positioning your bets is imperative if you wish to be successful. This topic will be discussed in greater detail during grade 10.